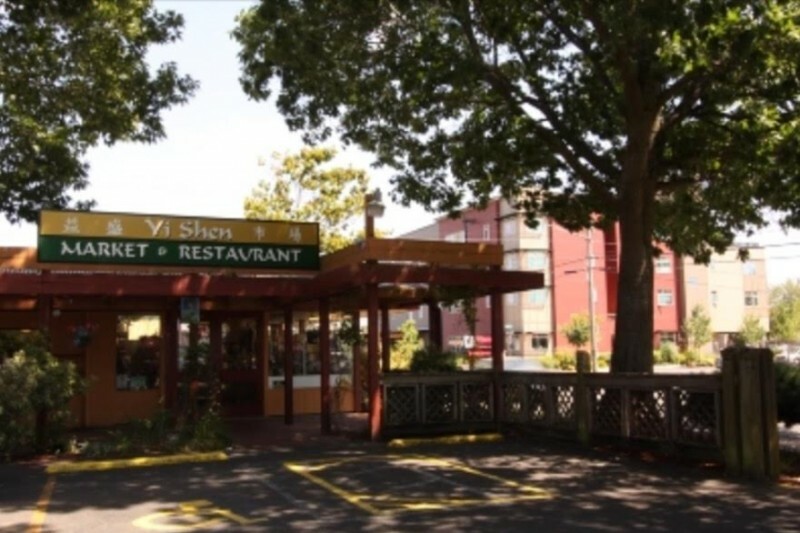 Please help us raise money for Phung Hsieh, the owner of Yi-Shen Asian Market and Restaurant at 1915 W 11th Ave, Eugene, OR 97402. Her property has been vandalized numerous times. 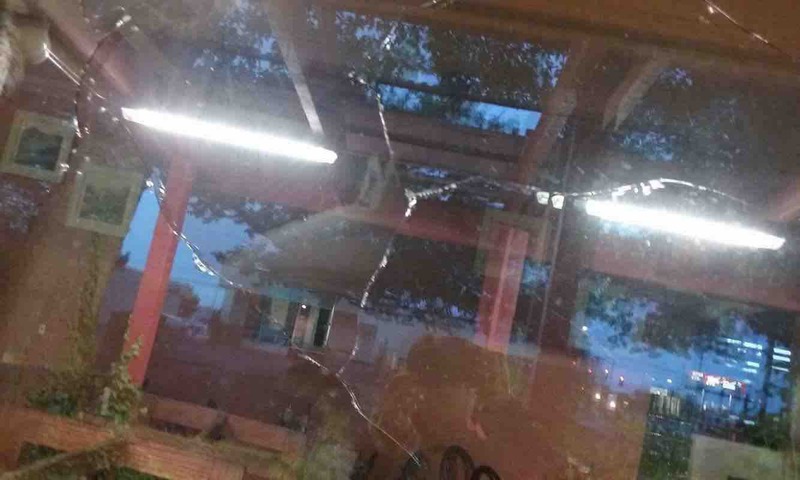 Rocks were being thrown and breaking her windows, more than once a month in the last seven months. Most recently was just yesterday (June 27, 2016)! She has false cameras set up around the building and signs to deter such actions but to no avail. She has spoken to security camera companies but they were priced around $3000 to $4000 and as a small business, that is a very costly investment. She has reached out to her insurance company after the first few incidents but they have threatened to drop her due to the frequency of her claims. 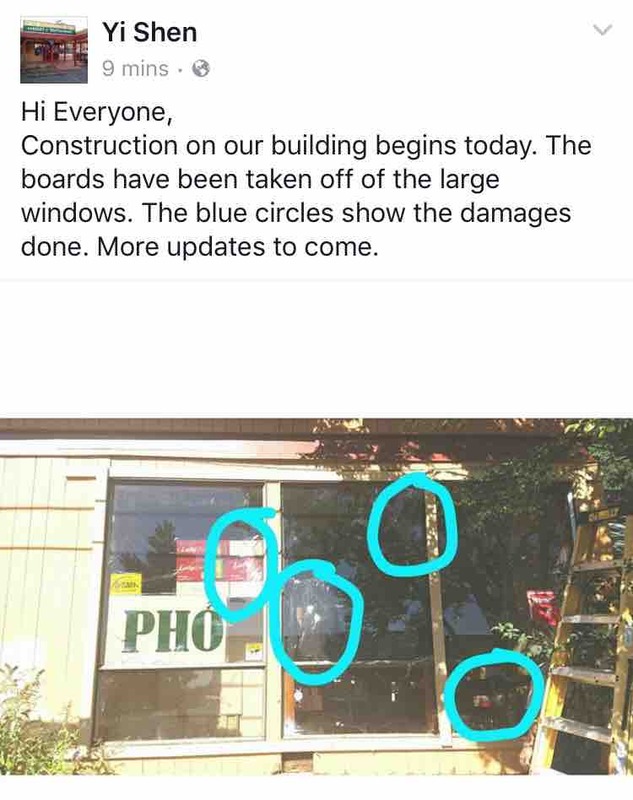 There have been no other reports or incidences regarding vandalism in the area and the Eugene Police do not have a solution except to take a report and try to increase police presence. During our discussion, we both feel this could be a hate crime towards her and her establishment. She is in fear for her business, livelihood and potentially her physical being because she does not know who is doing this or why they are doing it, as these are unprovoked attacks. The money raised will be used for installing a new security system with cameras and WiFi and to repair the damages to her property. Phung has been a community member for many years and her business has never experienced anything like this. As many of you know, she lost her husband two years ago and running this business without him has been stressful and at times very challenging. We are hopeful that we as a community can show our appreciation and support for her through these challenging times. 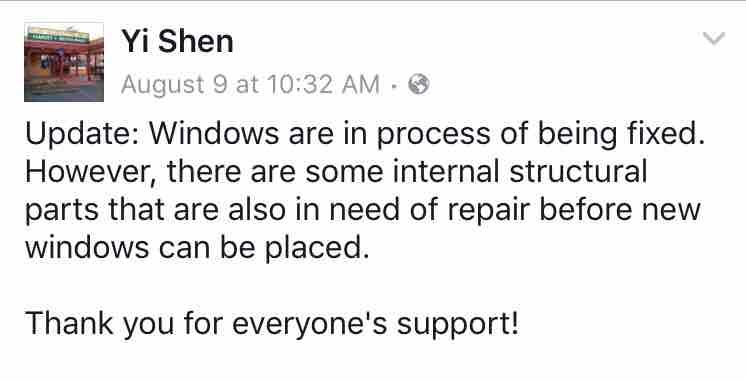 Yi Shen needs your help - PLEASE PASS TO YOUR NETWORKS!!! We are working on getting the cameras set up and installed but in the mean time, we need some nightly security watches and we need your help. We had a donor for a camera, but he fell through. However, through your generosity on the gofundme campaign, we will be purchasing the camera ourselves and we have a security professional volunteering their time and energy to do the install. Attached below is a link for people to sign up and I think we need 4 people per shift so we can have a 2 person buddy system and have teams of two on the west and south corners as well as a team on the north and east corner. The buddy system allows two sets of eyes, company and most importantly protection. We ask that one of the members have a fully charged cell phone to call police in the event of any issues and that you DO NOT PERSONALLY ENGAGE for your own safety. Please pass this message and link to the sign up sheets. I will coordinate some logistics and set up coffee/tea and food for people who will volunteer. If you have any questions please contact Ardyn Wolfe (ardynw@gmail.com) or myself David Tam (davidyuentam@gmail.com) with any questions or concerns. July 2, 2016 IT HAPPENED AGAIN EARLY THIS MORNING!!! This is outrageous. It's taking us some time to coordinate the installation of the security cameras and wifi. Some people are donating their time and equipment but now we're looking into other options. This has to stop. I feel so bad for the Hsieh family and can only imagine what terror they're going through. If anyone wants to be part of some night patrol in the meantime, please contact David Tam at davidyuentam@gmail.com. We are planning two to four person shifts. Thank you again for all your support!